Although we all wish to be happy and avoid problems, we constantly meet with problems and difficulties in our daily life. Venerable Geshe Kelsang Gyatso shows clearly that the correct way for reducing our problems and increasing our happiness is to change our mental attitudes from negative to positive. He then presents practical methods for bringing about this change in our mind so that we can attain pure and everlasting happiness and freedom from misery. 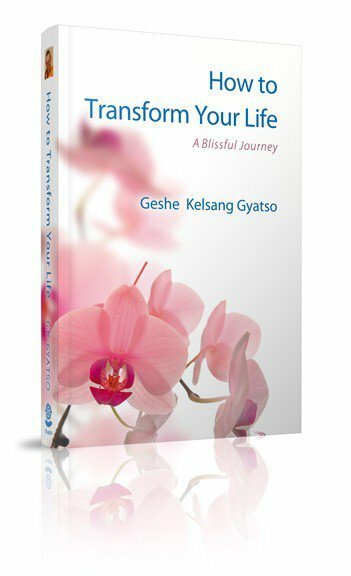 How to Transform Your Life is the one of a series of 22 highly acclaimed books of all aspects of Buddhism by Venerable Geshe Kelsang Gyatso, and is recommended by the author as the first of these books to be read and studied. Prefer to order the paperback? Venerable Geshe Kelsang Gyatso is a fully accomplished meditation Master and internationally renowned Buddhist Teacher. 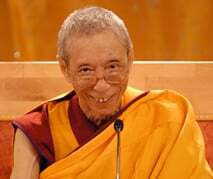 He has pioneered the introduction of modern Buddhism by creating all the necessary conditions to support the practice of Buddhism in modern society: writing a series of 22 practical and accessible books on all aspects of Buddhist thought and practice, organizing the translation of these books into many languages, establishing over 1200 Kadampa Buddhist Centres and groups throughout the world, developing modern study programmes, training qualified Teachers for the future, and establishing local, national and international courses, events and festivals. 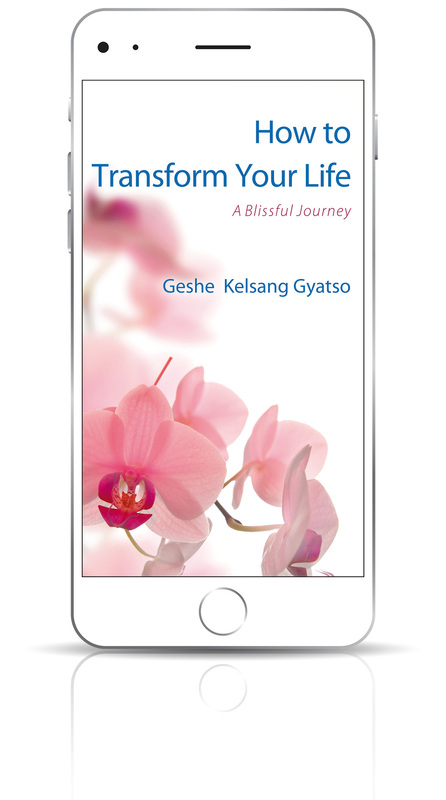 Through all these and other activities Venerable Geshe Kelsang Gyatso is bringing Buddhism alive in this modern age, enabling people everywhere to discover inner peace and happiness through Buddha’s teachings, and thereby bringing greater world peace. 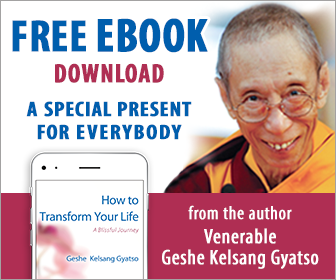 Out of his kindness and strong wish for as many people as possible to have access to the special life-transforming methods and practices contained within How to Transform Our Life, Venerable Geshe Kelsang Gyatso has requested that the book be distributed as a free eBook, a special present for everybody. The eBook is available in both ePub and Kindle formats, so can be read on virtually any smartphone, tablet, laptop or PC. ‘Our instinctive view is that we are more important than everyone else, whereas the view of all enlightened beings is that it is others who are more important. Which of these views is more beneficial? In life after life, since beginningless time, we have been slaves to our self-cherishing mind. We have trusted it implicitly and obeyed its every command, believing that the way to solve our problems and find happiness is to put ourself before everyone else. We have worked so hard and for so long for our own sake, but what do we have to show for it? Have we solved all our problems and found the lasting happiness we desire? No. It is clear that pursuing our own selfish interests has deceived us. After having indulged our self-cherishing for so many lives, now is the time to realize that it simply does not work. Now is the time to switch the object of our cherishing from ourself to all living beings. ‘All enlightened beings have discovered that by abandoning self-cherishing and cherishing only others they came to experience true peace and happiness. If we practise the methods they taught, there is no reason why we should not be able to do the same. We cannot expect to change our mind overnight, but through practising patiently and consistently the instructions on cherishing others, while at the same time accumulating merit, purifying negativity and receiving blessings, we can gradually replace our ordinary self-cherishing attitude with the sublime attitude of cherishing all living beings. ‘To achieve this we do not need to change our lifestyle, but we do need to change our views and intentions. Our ordinary view is that we are the centre of the universe and that other people and things derive their significance principally from the way in which they affect us. Our car, for example, is important simply because it is ours, and our friends are important because they make us happy. Strangers, on the other hand, do not seem so important because they do not directly affect our happiness, and if a stranger’s car is damaged or stolen we are not that concerned. As we will see in later chapters, this self-centred view of the world is based on ignorance and does not correspond to reality. This view is the source of all our ordinary, selfish intentions. It is precisely because we think ‘I am important, I need this, I deserve that’ that we engage in negative actions, which result in an endless stream of problems for ourself and others.